Former New York City mayor Rudy Giuliani has mostly been in the news as of late for his legal work for Donald Trump amid the ever-spiraling federal investigation into alleged Russian interference in the 2016 elections. Namely, that said work has been so wildly erratic that his former law firm cut ties with him and even the president reportedly thinks he’s a moron. But one of Giuliani’s lesser-known specialties is supposedly the cyber. 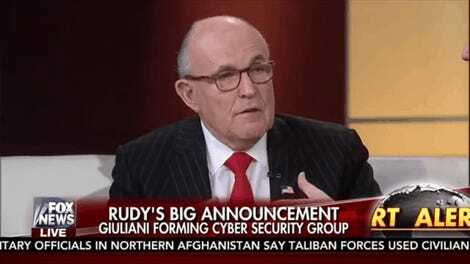 His consulting firm, Giuliani Partners, has a nominally cyber-focused subsidiary that does little actual technical work, and the man himself briefly served as (reportedly hapless) cybersecurity adviser to the White House. Once he even told reporters he had toured a rural New Hampshire hospital where a woman rumored to be his mistress worked to learn about its cybersecurity program. Never mind that the guy can’t figure out how to wear AirPods! And, in a show of incompetence which would be breathtaking had there not been so many prior previews, Giuliani has now demonstrated he does not even know how URLs work. 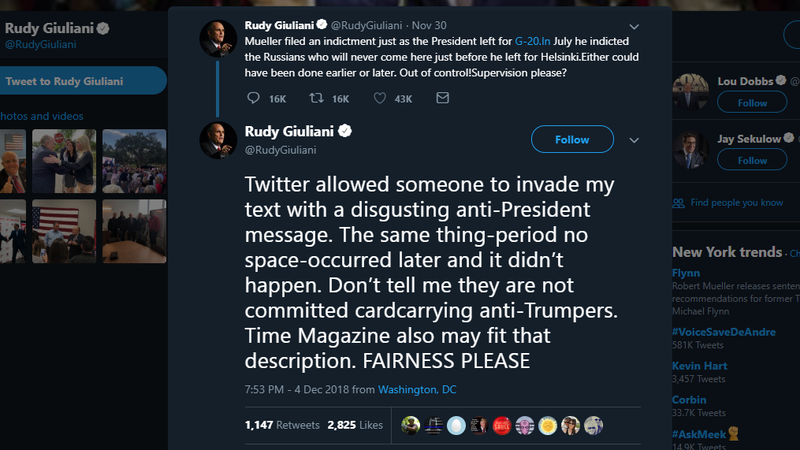 Giuliani responded on Tuesday—four days later—by tweeting a confused attack on Twitter management claiming the platform was responsible for allowing hackers to “invade my text with a disgusting anti-President message” (emphasis added). “The same thing-period no space-occurred later and it didn’t happen,” Giuliani added, apparently unaware that .in is a top-level domain made available for global use and maintained by the Indian government, or how hyperlinks work in general. “Time Magazine also may fit that description,” Giuliani concluded. “FAIRNESS PLEASE”. This is at least the second time in the past week Giuliani has really fucked up tweeting. The same day he unintentionally posted the URL, he posted the enigmatic gibberish “Kimim ° has f”. Did Giuliani send these tweets before or after carousing at a cigar club? We may never know, but it’s a sure shot that he probably doesn’t remember. Rudy Giuliani: They Boo Me Because They Love Me Baby!! !